Scotlaaand! Come along for a wild ride with fishing, hunting, whisky, short bread, rhythm, folk songs and the spirit of Scotland! A hilarious three man physical comedy. WINNER of the Weekly Award for Best Comedy at the Adelaide Fringe 2019, the Spirit of the Fringe Award at the Paris Fringe 2018 and the Inspiration Award for new work at the Prague Fringe 2018. Shortlisted for the Prague Fringe Creative Award for a production deemed creatively exceptional and the Performance Award for outstanding performance. Third place in the Prague Fringe Audience Award, voted for by audience members. "Take your Nan, take your mates, take the kids. This is one for everyone." 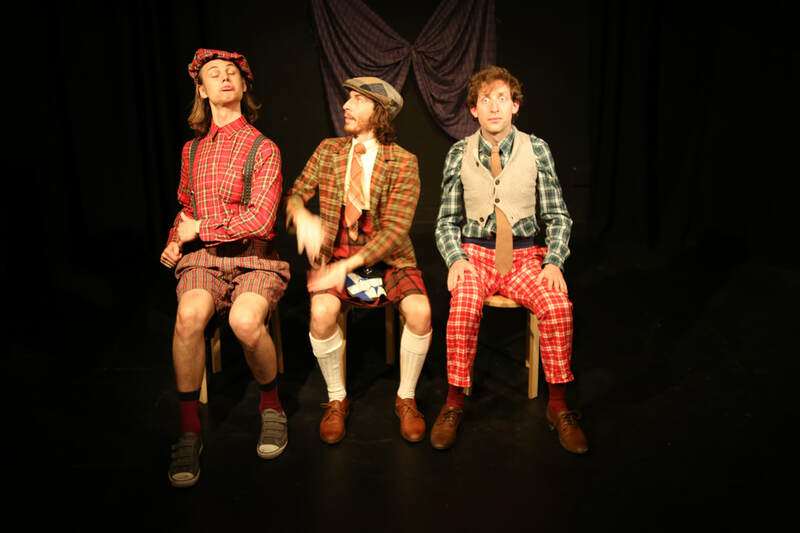 "The Latebloomers are an extremely talented and professional act who take their audience along on this ride through all things Scottish with appealing good humour and supreme skill." "There is skill in every nuance that the trio make and incredible rhythm abounds with stunning alacrity"
"This is top drawer slapstick that will leave you wanting an encore"
"These guys' ability to make their audience comfortable and rope people into participation is truly unparalleled"
"It’s been a while since I have been at a Fringe show that has created such loud and instantaneous belly laughs from an audience"
"There is no doubt about the howls of laughter that these three clowns managed to pull from the audience"
"This might be one of my favourite fringe shows ever of any season, anywhere in the world." "Scotland! is physical comedy at its best." 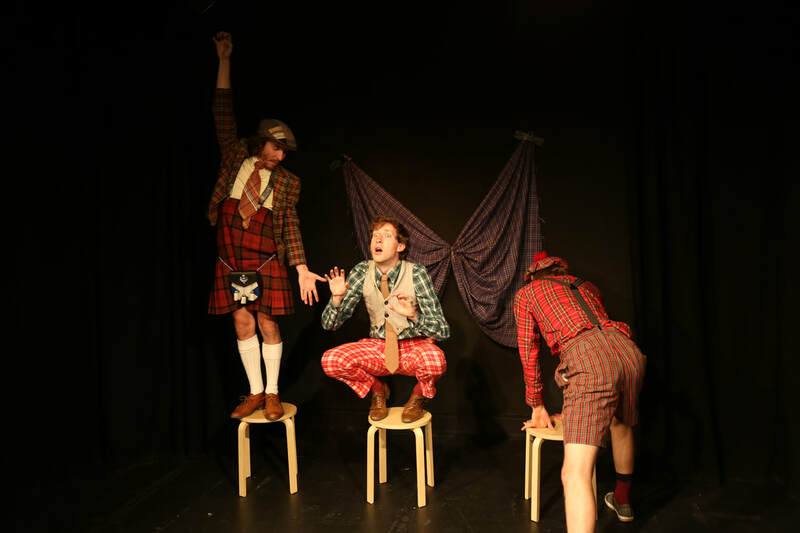 "Hilarious and clever, this trio take clowning to a new level." "The room heaves with laughter and rhythmic clapping almost throughout." "Scotland! is one of those performances you could watch every night for a week and still go back for more." "The trio manage to have the entire audience in tears (of laughter)... they are masterful"
"Great laugh throughout, sore cheeks after from laughing and laughed all the way home.... can only be a good thing. As probably the only Scot in the room, I felt I was back in the Mother country!" "Insanely talented trio that have me in stitches every single time." "Such a ridiculously good act! Very very very good!"